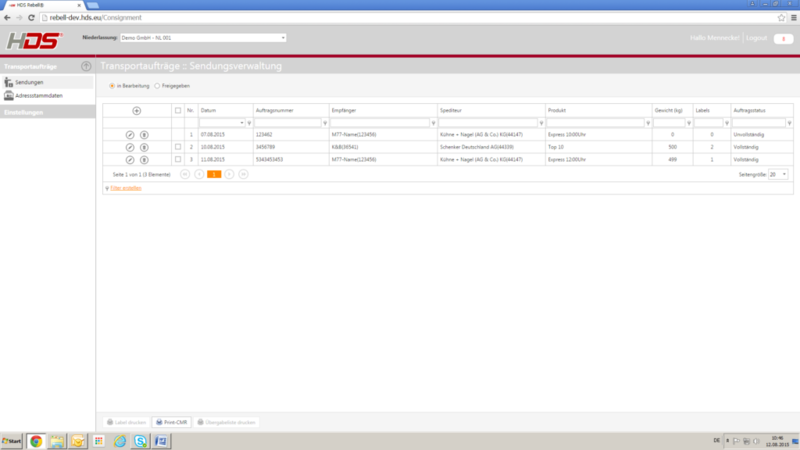 In a singleWeb Interface orders can be entered and transferred to any number of service providers via EDI, Mail or Fax. HDS Connect® can execute initial calculations (in conjunction with HDS Calculate®) to determine the best priced service provider and to place the order. A self-learning database of consignee addresses is included as are the interfaces for connecting to the consignor ERP system.